New York Times bestselling author Joyce Carol Oates' imaginative look at the last days of five giants of American literature, now available in a deluxe paperback edition in Ecco's The Art of the Story Series. 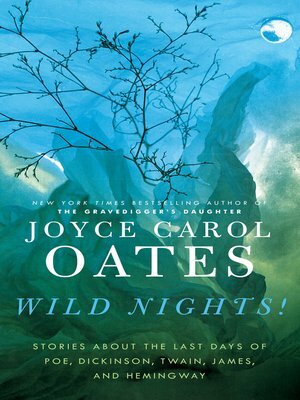 Edgar Allan Poe, Emily Dickinson, Samuel Clemens ("Mark Twain"), Henry James, Ernest Hemingway—Joyce Carol Oates evokes each of these American literary icons in this work of prose fiction, poignantly and audaciously reinventing the climactic events of their lives. In subtly nuanced language suggestive of each of these writers, Oates explores the mysterious regions of the unknowable self that is "genius." Darkly hilarious, brilliant, and brazen, Wild Nights! is an original and haunting work of the imagination.